HD Video Camera Recording, DVD/CD Duplication & Printing Services, Any Tape to DVD Transfer, 8mm & 16mm Film to DVD Transfer, Audio Cassette or Reel to Reel to CD Transfer. 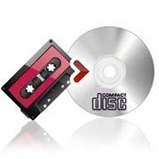 We offer DVD/CD Duplication of ANY quantity and can duplicate while you wait or usually in a quick turn-around time. We offer very competitive pricing and all work is done on our premises. We offer printing and packaging services. We print directly on your disc and do not use stick on labels. Our high resolution printers provide the best of quality. You can provide the artwork or we can design for you. Our duplication facility is fully equipped to provide you fast service and best quality. Your DVD/CD duplication is performed by our own staff. That makes the handling of your discs safe and with privacy. Transfer your old 8mm, 16mm film to DVD for keepsake and preservation. Don't take your films to a department store or wholesale outlet only to get lost or damaged. All your film is transferred in our facility and carefully handled by our staff. We can even edit and recondition your film including repairing broken splices. Video tape has been around for 20 plus years. There have been priceless memories captured on tape and over the years the tape has begun to deteriorate and develop damage from not being used. Now you can have those tapes transferred to DVD and preserve the memories forever. Our facility can transfer any tape to DVD and we do it right in house. No danger of your tapes being sent out and contracted to other facilities for transfer. Don't trust your tapes to a drug store or wholesale house who claims they transfer on premises. Our staff is the only ones who handle and transfer those memories. In some case we can transfer them while you wait. Audio cassettes and Reel to Reel tapes can be transferred to CD's to preserve and protect them. Audio cassette players have become obsolete and soon will become hard to find. We can take those cassettes and put them on a CD disc or transfer and upload them to mp3 audio files for you iPhone or Android. In some cases we can ever create CD's with separate tracks of your cassette tapes. Call us and get a quote and ask if we can do it while you wait. Again, all our work is done in-house and nothing is sent out for transfer. and Adobe AF to deliver your final product. 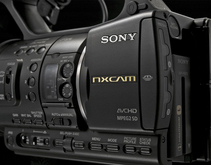 Our camera recording services are offered ONLY on SONY HD/SD camera's. Our camera's use TAPELESS recording and only record on Hard Drives or Memory Cards to ensure the highest quality. There is NO risk of tape damage or other risks associated with tape recording. 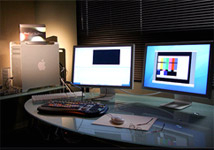 We provide wireless audio, on-location monitor playback, lighting, and teleprompter services. Our recording crew can record on-location and we bring it all to you. Our crew provides multiple cameras if necessary. In addition we offer special lighting crews, make-up artists, sound crews, props, teleprompters, food catering, and special on camera talent/hosts. Actors and extra talent are available for your selection from local talent agencies and can be arranged for a screening interview. To keep cost and budgets under control we recommend you consult with our Director when planning your project.